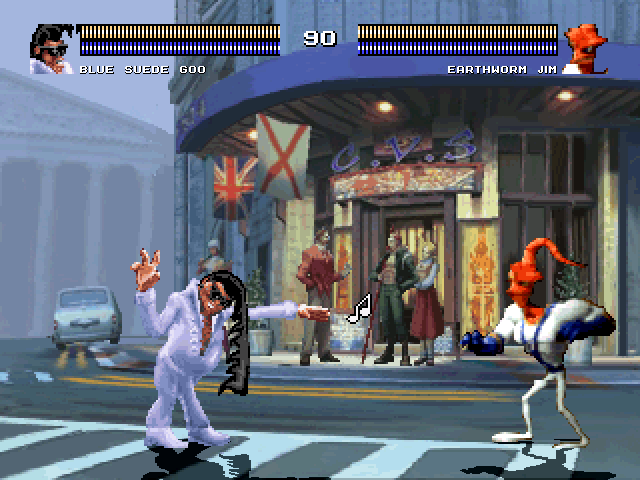 The Elvis impersonator from the first game is back to MUGEN with this new version, which is faithful to the first ClayFighter and CF: Tournament Edition from SNES (since basic to special moves are accurate to the source) but made under the 63 1/3 engine made for Earthworm Jim, as well added various of the features from this game (since sounds and sparks to moves like Overhead Attack, Launcher, Claytalities and the complete combo system, Insane Combos included). I like the result of this character and I hope you enjoy him as I did creating him... OH MOMMA!! He had just one before, now Jim has all the 6 Insane Combos (Ultras) from the game!! So here they are, I hope you enjoy them... and I hope to make more characters from ClayFighter 63 1/3 (Bad Mr. Frosty and Boogerman are in my chars-to-do list), as well adapting from the first 2 games as I did wth BSG (if you like the result of BSG, I'm interested to revive Tiny in a future). So, download them now!! 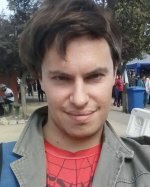 HEY WATCH THE HAIR MAN!! A state based on what I did with Jim and later with BSG, it's a simple anim you can add in your character to make him/her compatible with the pre-Claytality state (for normal chars, it goes to 5300/dizzy state BTW). Only 2 sprites getting down with time 5-6 and the last one on its knees with time -1, all of them with clsn2. If it's a KOF/CVS char, you can use part of the cheap KO sprites to make the anim, but always you can improvise as I did with BSG. 03/08/2019: Both chars has been updated!! 03/13/2019: Jim has been updated AGAIN!! Blue Suede Goo is great. As for Jim, he's pretty good. Jim's sprite need to be of a better quality, and he's still missing some from the game (full crouching animation for one). 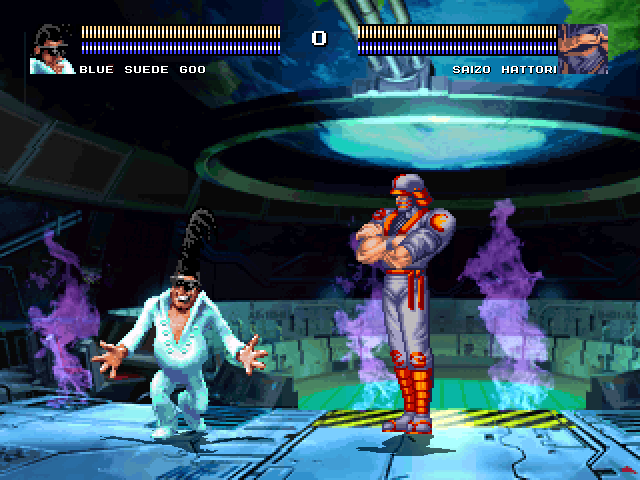 played around with Blue Suede Goo for a bit and right off the bat you can preform infinites with his basics while his standing kicks are unblockable. His air basics also can't be air blocked. other than that he plays ok, though he could be improved. other than that these two are awesome. can't wait to see more characters. Hopefully you'll do characters that even Shadowtak never got the chance to do back in the day. oh okay, I get it now. 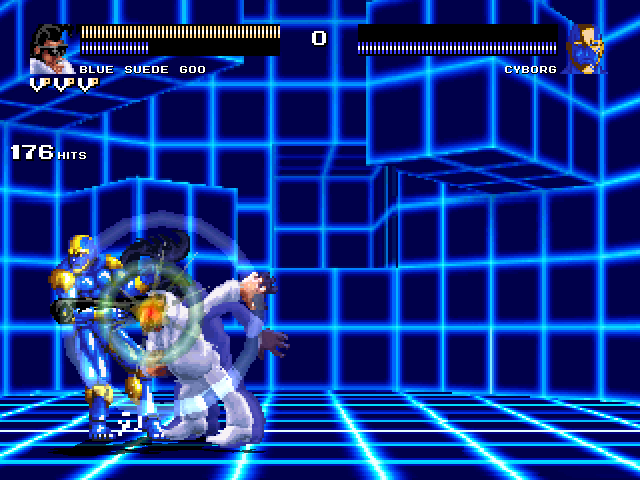 These characters are rather overpowered. I'd suggest adding a damage dampener. 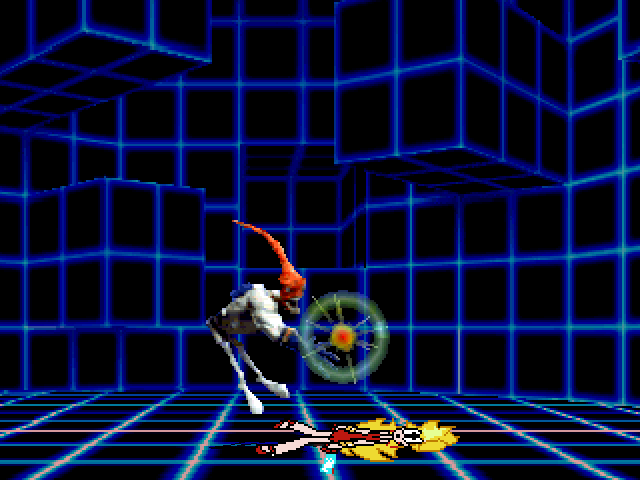 Their attacks do too much damage in general. One of Jim's combo finishers does 300 damage, which is a lot. You should nerf the medium and heavy normals, specials, combo system, and hypers. definitely like the insane combos for both Jim and Blue Suede Goo. the combo system is real good once I got used to it. 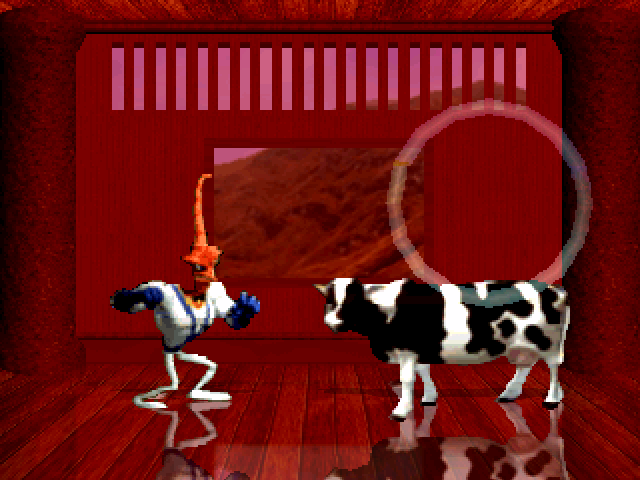 Can't wait for more of the Clayfighter cast to arrive. Nice work Basara Suede Goo! 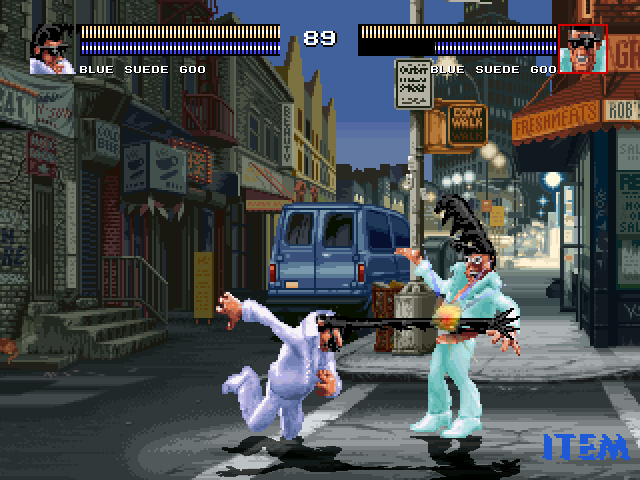 - dunno about the ClayFighter system, but Blue Suede Goo trows are on F + z/c, Earthworm Jims on F + y/z. Maybe get the throws on the same system. - p2 vanishes for a short time while in "Cow from Sky" Claytality. 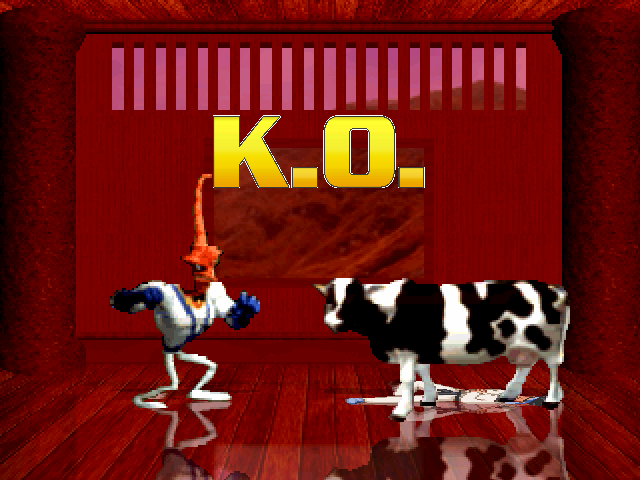 Tested against Kung Fu Man by DivineWolf in MUEGN 1.0... and maybe you should adjust the position of p2/the cow. How about adding the Island from the source game with p2 flying away after the "Launch from MUGEN" claytality from both chars? Was wondering where you'd been, man. Glad to see you're back, your creations are so well-made! Tested it. Looks like the cow bug is gone. Good job!